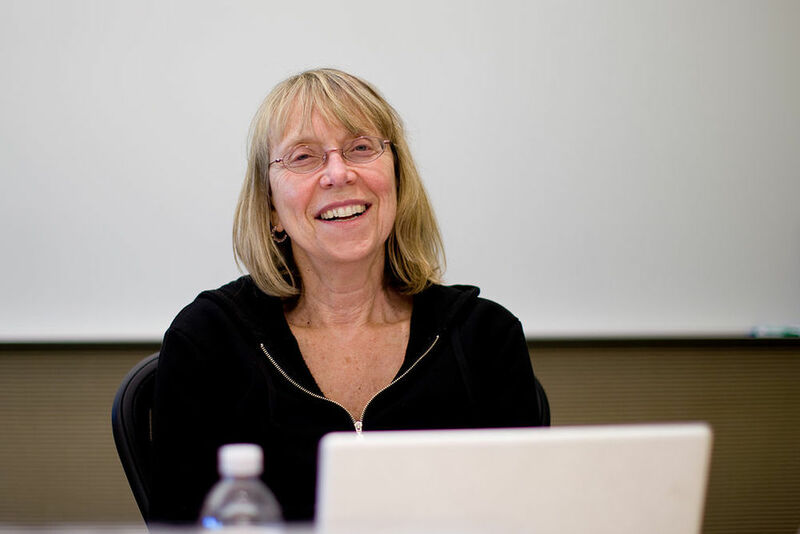 My collaborator Esther Wojcicki, a revered teacher at Palo Alto High School for 30+ years, has an acronym that she calls the “secret sauce” to her phenomenal success with her students. 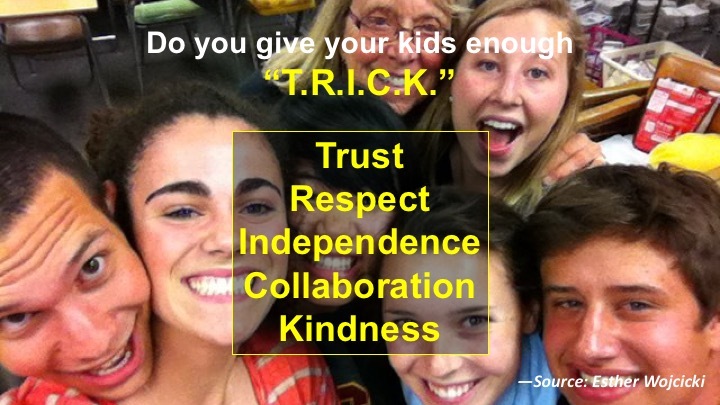 The acronym is T.R.I.C.K., standing for TRUST RESPECT, INDEPENDENCE, COLLABORATION, and KINDNESS. “The first thing to establish in the classroom as a culture of trust. That does not mean the students are free to do with they want; it means that they trust each other to help in the learning process, and the teacher press the students. Boundaries must be established early. Teachers can use various exercises and games to build trust. Since the teacher is in control, he or she must take the initiative to create situations that require students to be trustworthy. Opportunities arise daily. For example, having students work in teams and be responsible for the team teachers trust. Creating a group blog or website gives students the natural way to develop trust in the team. If the teacher trusts the team, it builds a community of trust in the classroom. The key to building trust is to actually trust the students. Counterintuitive? No. It’s the only way to effectively build trust. In my advanced journalism class, each student has an individual story assignment, so no to students do the same thing. Some stories about issues in the school, the district, or the city are particularly sensitive. It takes a leap of faith to trust students to get the information right write and to write it up objectively. We publish the results online, typically garnering thousands of views, and in hardcopy for 3000 local residents. Students have told me that trusting them to write the stories is significant in building their self-esteem. … Six editors in chief manage the class, giving the students critical leadership experience in the sense of control over the publication. … Each student in each class has a title matching his or her responsibilities – news editor, editorial page editor, feature page editor, and so on. Besides having the students produce publications, I routinely let the students teach. For example, I designate one day a week on which the kids take over the class for an hour. Having kids teach each other regularly, in small groups, also creates trust of the class. I encourage my students to help with the technology. I use Google docs to create documents and Adobe software to publish them. … I ask my students to seek potentially new useful new software, to learn how to use it, and to share it with the class.